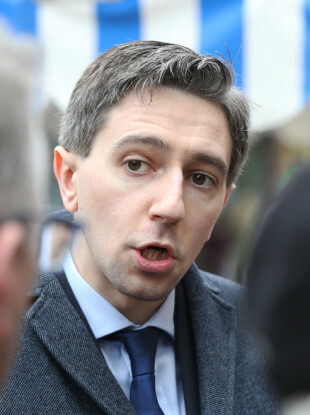 MINISTER FOR HEALTH Simon Harris has said CervicalCheck, Ireland’s national cervical screening programme, will today write to doctors of women who may have had their cervical cancer diagnosis missed to ensure they have told their patients of their result. The fallout of the case of Vicky Phelan, a Limerick mother-of-two who had a smear test in 2011 where abnormalities were missed, and who wasn’t informed until last year despite the information coming to light following a 2014 audit, has been causing shockwaves today. Yesterday, 43-year-old Phelan settled a damages claim in the High Court for €2.5 million. Her cancer is now terminal. In January of this year, she was given between six and 12 months to live. Her doctor wasn’t informed of this diagnosis until 2016, and she herself wasn’t informed until a further year had passed. Speaking to reporters this afternoon, Harris said that “it’s absolutely essential that we establish that those doctors told their patients of the outcomes of those audits”. “So today, CervicalCheck will write to those doctors to confirm that they have informed their patients. Harris also told reporters that he will ensure a system is implemented to make sure that women are told if they received incorrect cervical cancer diagnoses. “We need to make sure that this becomes an automatic situation. I don’t want a situation where we have any information, to do with any health and wellbeing of any woman, that isn’t shared with her,” Harris said. I’ve asked the HSE to come up with a system to make sure that the woman is automatically told of any audit and review of her smear test. Speaking directly in relation to Vicky Phelan, Harris said his “thoughts are with her in this most horrific and difficult time”. Speaking during Leaders Questions earlier today, Coveney apologised to Phelan, and said that “human error” can happen in the case of smear tests. Coveney said that “anyone who knows this story will say this is a shameful series of events”. “The tragedy Vicky Phelan and her family are facing now has been made all the more difficult because of the failings for the passing out of information,” Coveney said. For that, as Tánaiste, I want to apologise to her and her family. Speaking outside court yesterday, Vicky Phelan said that her case was “unforgivable” and an “appalling breach of trust”. “There are no winners here today. I’m terminally ill and my cancer is incurable. The women of Ireland can no longer put trust in the cervical check programme,” she said. Coveney noted in the Dáil this afternoon that every year around 250,000 women have smear tests through CervicalCheck and that the programme has found over 50,000 women with pre-cancerous cells. “It is important to say that while this case is tragic and should not have happened in the way that it did, we cannot allow it to undermine confidence in CervicalCheck as a whole,” Coveney said. There is no perfect system and human error will happen in screening programmes when you have a quarter of a million people a year having smear tests. That seems to be what happened here but I don’t know that for sure. The responsibility on all of us is to reassure women that it is a good screening system that is saving lives. Earlier in the Dáil, Coveney said that the fact that “mistakes can be made” isn’t any consolation to the Phelan family. “It is regrettable that she had to take court action to establish the truth, it is certainly regrettable that decisions weren’t made to require patients to have automatic access to information relating to them,” he said. Speaking to RTÉ Morning Ireland today, head of the National Cancer Control Programme Dr Jerome Coffey said that the cervical smear test “is not perfect”. He argued that the clinical audit of smear tests is now more functional, with the “time factor much reduced”. Physicians are now informed “within two to three months” as to a patient’s status he said. Asked repeatedly whether or not doctors have an obligation to tell their patients what the results are, Coffey conceded that decision is “between the physician and the patient”. Speaking to reporters this afternoon, Sinn Féin leader Mary Lou McDonald said she was “not reassured” about what she heard during the Morning Ireland interview. “I think there are now more questions than answers. I think we all have to be very concerned. I think any woman listening to the HSE this morning would be asking themselves ‘I wonder if my smear was okay’,” McDonald said. “We have to have public confidence in screening, it is just so important, because screening can save lives, but it is unacceptable that where a mistake is made, information is withheld from the woman’s GP or physician and then withheld from the woman. That is an absolutely outrageous situation, so I think we still need to get to the bottom of this. I don’t know how many other Vickys there are out there. I can only pray that there is no other woman who is in a position where her life, her very life, is actually in jeopardy. “I am very concerned,” she said. Speaking in the Dáil, Coveney said that the inability for women to access their information “is something we’re going to change immediately to ensure that anybody who is in a similar situation in the future won’t have to access information through the courts”. “This is a screen system that is open to independent assessment to show that it rates well by international standards,” he said. Speaking to RTÉ DriveTime yesterday, Phelan’s solicitor Cian O’Carroll suggested that, via the clinical audit, it has emerged that as many as 15 more women may have had cancer diagnoses missed. Coveney was questioned this afternoon on whether those 15 women have been informed that they have had their cancer diagnosis missed. “There is an active piece of work going on now to establish if there are other women in the same category. We will have more detail on that when it’s concluded,” he answered. Email “'We can't just presume they have': Doctors instructed to tell women if they have received false smear test results”. Feedback on “'We can't just presume they have': Doctors instructed to tell women if they have received false smear test results”.